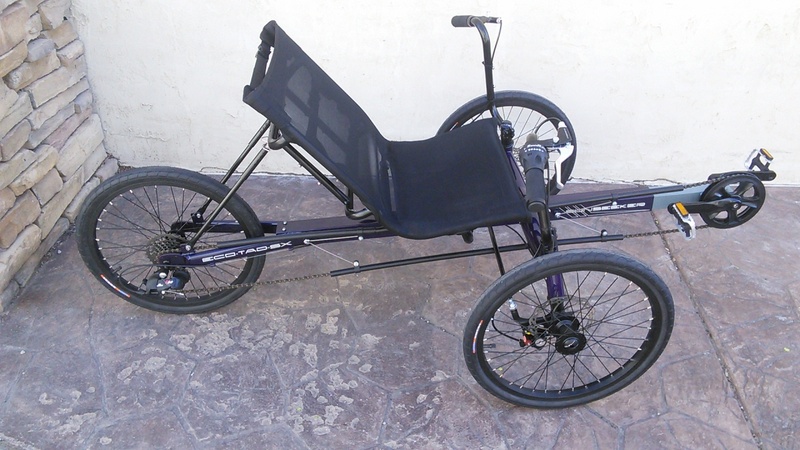 The SunSeeker Eco Tad SX is currently the most popular recumbent trike for sale. 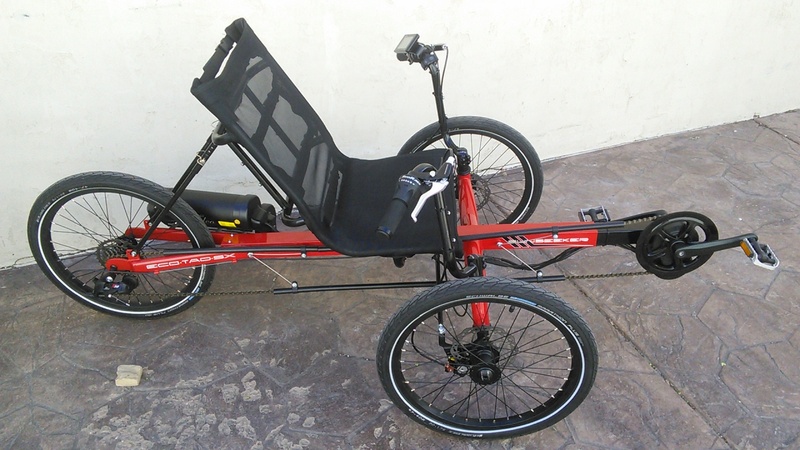 This is the most affordable adult tadpole trike on the market to date, but it's also full of features. It has a fully adjustable, mesh-back saddle with a padded bottom that keeps you cool and comfortable on long outings. There are spare bottle mounts on the seat frame to let you carry plenty of water for the long hauls. 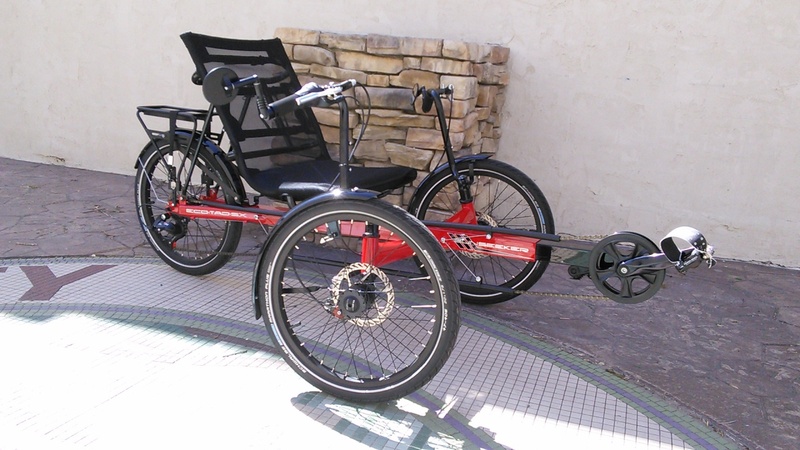 The SunSeeker ECO TAD SX allows the everyday triker the ability to get into a quality machine that is on par with other more expensive trikes in the industry. This model is incredibly comfortable and is easy to enter and exit. No two riders are the same! Feel free to make changes and personalize your Eco Tad so that it fits your needs. We offer lots of options! The view is better from up here. 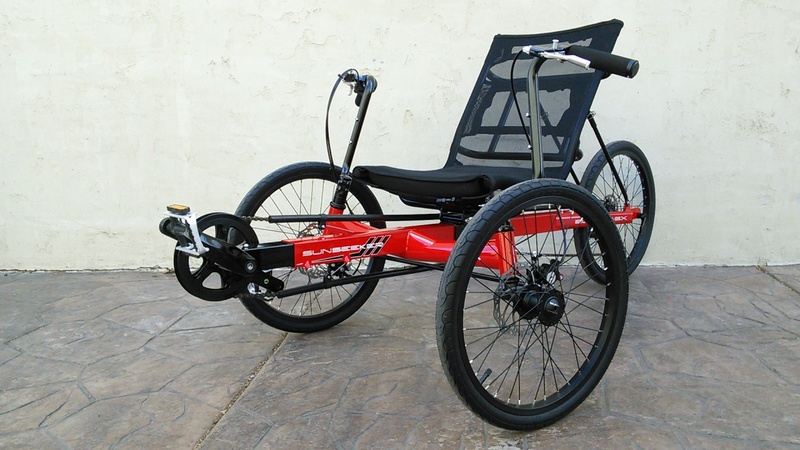 This Eco Tad seat sits higher than most recumbent trikes and gives great back support. It is fully adjustable, and also comes with a padded cushion to help you relax. 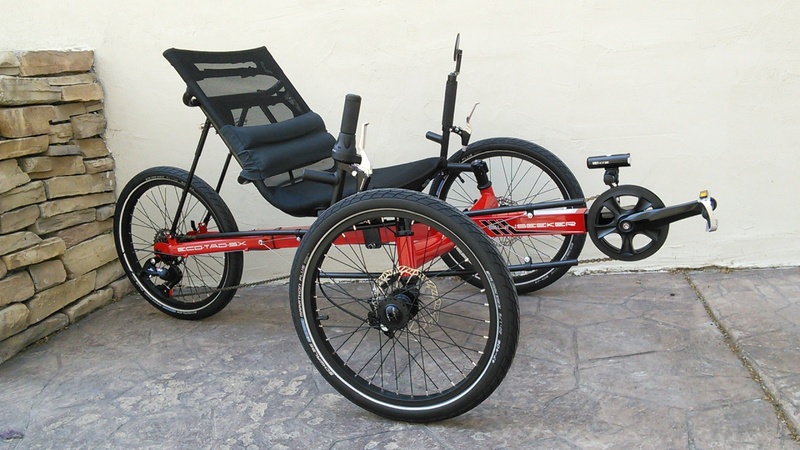 No other trike in this price range provides a padded and adjustable seat. 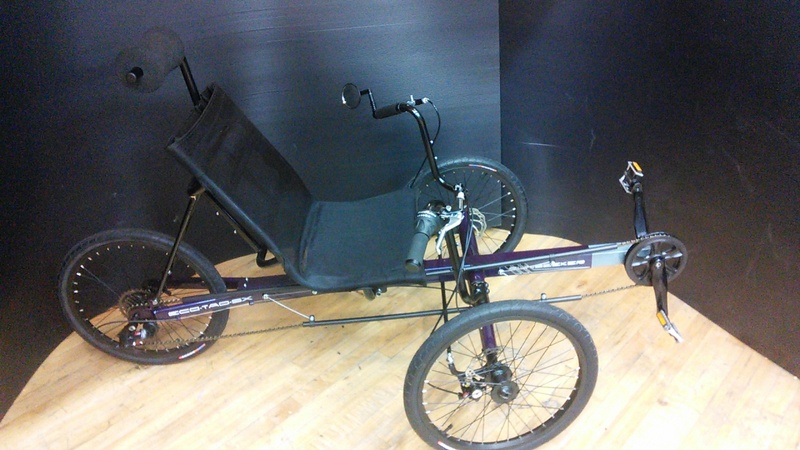 This trike refuses to be beat in value and comfort. 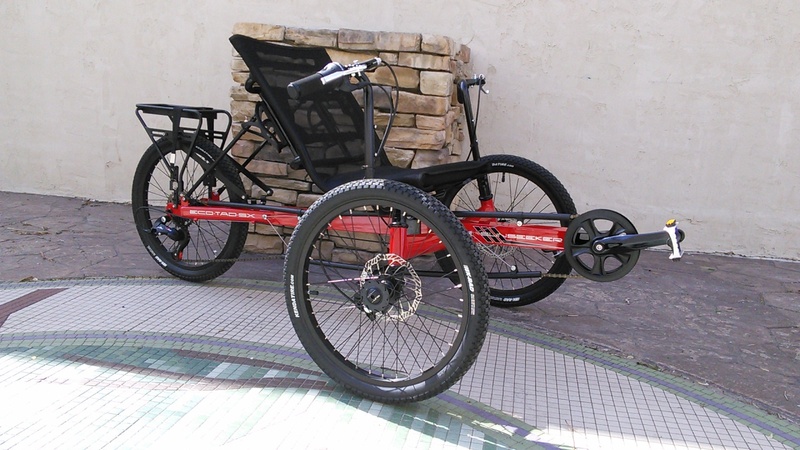 The simple drivetrain makes this trike a pleasure to ride. It comes stock with 7 speeds for anyone who like a simple no-nonsense machine. For people who want a more aggressive ride, there is always an option to add additional gearing. It's your call, it's your trike! 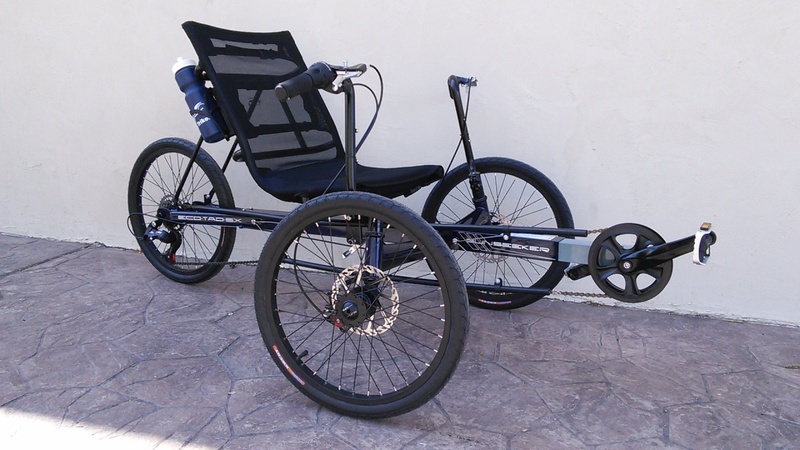 The frame on the Eco Tad SX is super durable and easily supports a rider weight of 300 pounds and 75 pounds of cargo. 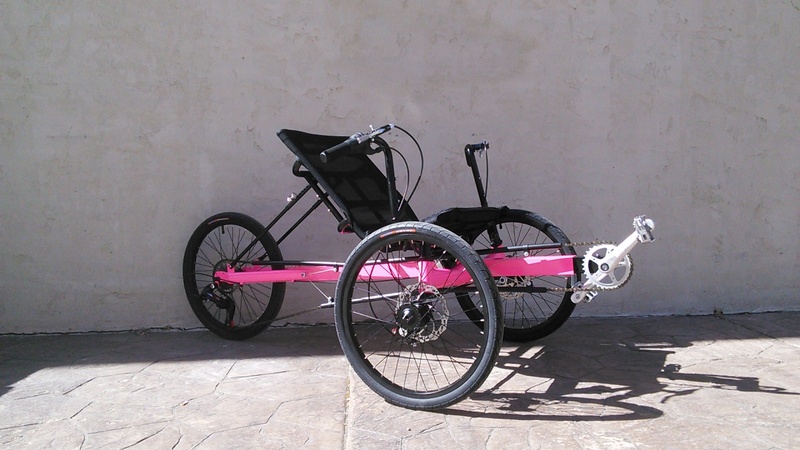 Because the Eco Tad is a one piece frame, it is lighter and more durable than similar multi-piece trike frames. It has high horizontal handlebars with spring-loaded locking brake levers so you can park and stand up with ease. Additionally, each handle bar comes with the mount for a water bottle cage. This makes the water bottles super easy to access and will help you keep hydrated. You'll notice a lot of the Eco Tads we build have motors on them. We have 500W, 750W, and 1000W systems preconfigured under the FRONT GEARING option. Of course, we can add additional batteries for increased range. Just let us know and we'll make sure you get the right setup!